Smart Data Recovery has Been Engaged in Technical Services and Data Recovery Abu Dhabi in since 2002, United Arab Emirates. We are specilized in Data Recovery.Data Transfer,Data Backup,Media Duplication,Softwar and Hardware Repair.We have been an established and popular company with an excellent track record for the best customer satisfaction. Smart Data Recovery, a leading provider of data recovery services for corporations, individuals, businesses and institutions in Abu Dhabi, U.AE . 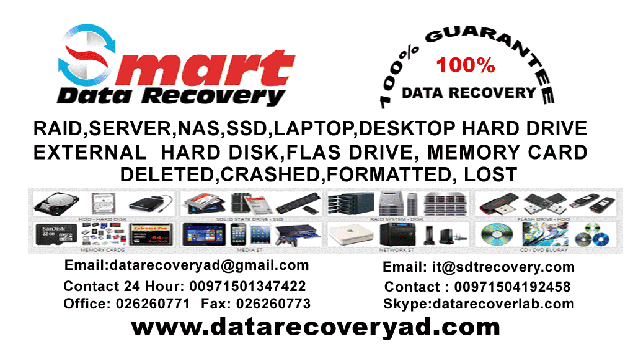 The Smart Data Recovery specializes in restoring and recovering lost, inaccessible and corrupted data from all types of data storage devices including Hard Drives, RAID Arrays, Solid State Drives, Apple Mac Computers, Laptops, Tape Drives, Cell phones, Cameras, Smart Phones and Flash Media devices. We value our clients and work relentlessly to ensure that you are completely satisfied. With more than 12 years of experience, countless of different cases behind us and the most advanced data recovery lab, Smart Data Technology can quickly diagnose the problem affecting your failed media and apply the most efficient solution in order to achieve fast and complete recovery of your data. We are equipped to handle any hard drive failure, logical or mechanical / physical failure and our engineers are available day and night to solve any data loss situation you are facing with. If your file is deleted, corrupted or lost we will to assist you in getting 100% of your data back. 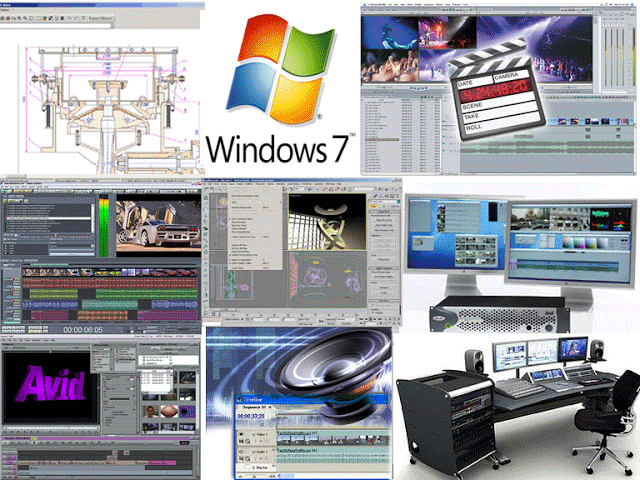 We recover data be it on Any Media Type. We recovering 100% data with high end machine and tools. We will recover the entire data in our specialized lab. Our team of professional and technicians are working 24hours to recover the valuable data of our customers. No fees charged for checking. If we could not recover your target data, you do not have to pay at all.